The Springfield Trapdoor mod. 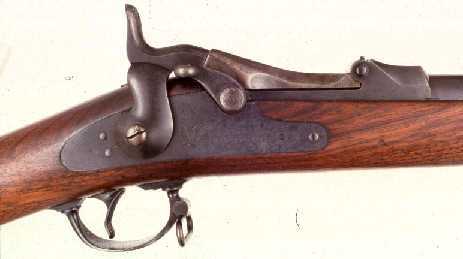 1865 to 1870 lockplate is the same as the one used for the 1860 muskets except for the notch for the tumbpiece. The mod.1873 to 1888 had new lockplates designed for the 45-70. 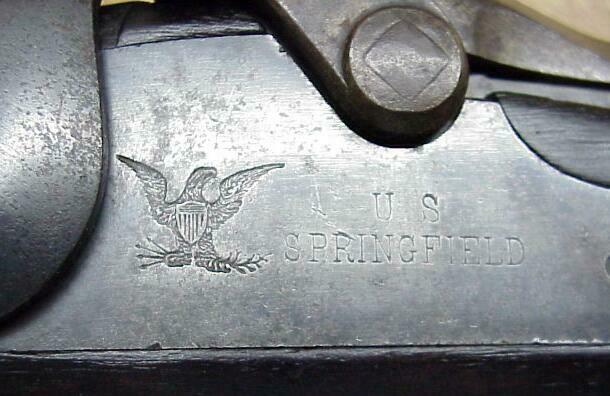 The lockplates are marked with the spread Eagle and, the full word Springfield (and the date 1873 on early mod.1873 rifles and carabines). There have been some lockplates that have shown up with an 1883 date on them, however these were second quality lockplates that were sold off by the armoury and were later stamped by a "surplus dealer"and used to make trapdoors out of parts.